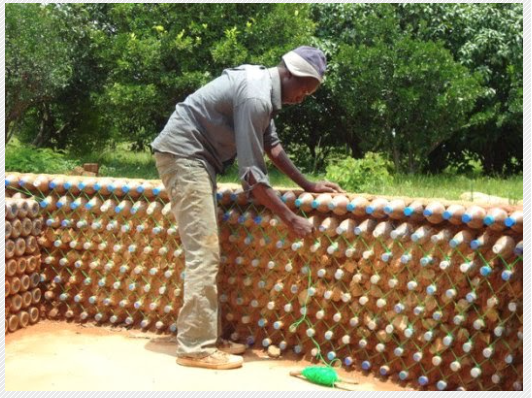 House Construction with Plastic Bottles! Well I never! Whoever came up with this idea is a Genius! Don’t you agree? 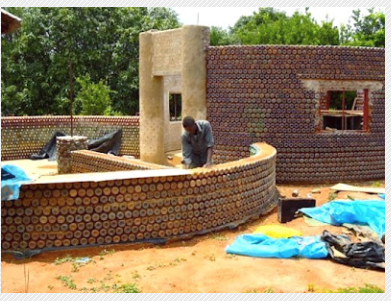 You fill up the plastic bottles with sand, mould them together with mud or cement, and the walls are bullet proof, fire proof and maintain an indoor temperature of 64 degrees in the summer time. The United States uses 129.6 million plastic bottles per day which is 47.3 billion plastic bottles per year. To build a 2 bedroom, 1200 Square foot home, it takes about 14,000 bottles. 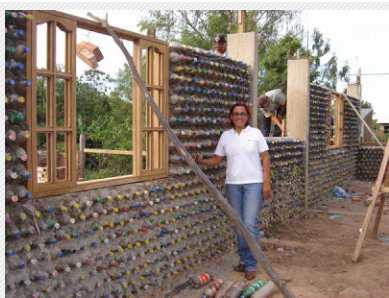 So the U.S. throws away enough plastic bottles to build 9257 of these 2 bedroom houses per day! That is just over 3.35 million homes, the same number of homeless people in America. ABSOLUTELY AMAZING! NO ONE SHOULD BE HOMELESS! NO ONE! This entry was posted in Spiritual and tagged bullet proof, fire proof, indoor temperature, plastic bottles on 09/03/2014 by mkirtikarphd.